[grow_thumb image=”http://telecareaware.com/wp-content/uploads/2013/10/Sharp_Telehealth_Chair.jpg” thumb_width=”175″ /]Sit down, relax and let Sharp Electronics‘ Health Care Support Chair do the telehealth work. It will, once you arrange yourself comfortably on the proper sensors, take your body temperature, heart rate, weight, and blood pressure, and put it up there on the big three-part screen to tell you if you’ve been good or bad. The cloud service behind it presumably will store and analyze your information, then send to your doctor if you choose. Here’s the ‘wow’ view from the chair. [grow_thumb image=”http://telecareaware.com/wp-content/uploads/2013/10/sharp-health-chair-6.jpg” thumb_width=”175″ /] Telepresence Options noted that Ubergizmo tracked down the chair to the super-luxe MWE Labs‘ Emperor 1510 workstation–an interesting repurposing which demonstrates that health sensors can be incorporated into furniture. It was unveiled at the September CEATEC Japan show and is perhaps designed to address the needs of the rapidly aging but affluent populations of Japan, Taiwan and South Korea who do not want to mess with mobile devices or apps. Also SlashGear. [grow_thumb image=”http://telecareaware.com/wp-content/uploads/2013/02/gimlet-eye.jpg” thumb_width=”150″ /]Apple’s hiring of Burberry’s CEO Angela Ahrendts as Senior Vice President of Retail and Online Stores to start in spring 2014 may well be indicative of the importance that Apple is putting on 1) smartwatches (she was honcho of a Burberry watch intro) and 2) wearables (she refreshed and upscaled an iconic brand from stores to merchandise). Chris Matyszczyk in Cnet points out that she is the second hire from the fashion industry (the other’s from YSL). On one hand this seems to reinforce that Apple’s strong suit is design; on the other hand it implies that their retail and online stores need to evolve after some recent missteps–and that they may not feel as confident as in the past of their internal capabilities. However this all seems too haute for the simple everyday buyer who wants stuff that helps you live your life better and more conveniently, and who may find it much easier to go to Verizon or Vodaphone for their mobile needs and that Jawbone UP band to wear. And where are the other wearables, say in a Burberry scarf? The Gimlet Eye is blinking in impatience, and it had better be elegant, or Gloria and Babe’s ghosts will be haunting Cupertino. [TTA 25 Oct] Apple and the emperor’s new wearable tech (Cnet) Hat tip to TANN Ireland Editor Toni Bunting; New Apple Retail Chief Hired Over Summer, Apple to Hire Burberry CEO (MacRumors). A flurry of publicity has descended like early snow in the Rockies promoting the AIRO fitness band. Developed by three graduates of Canada’s University of Waterloo, it is building pre-delivery excitement (and pre-orders) around the band’s claimed unique capability to analyze post-eating effects and make recommendations. A mini-spectrometer built into the band uses light wavelengths to look into a person’s blood stream and detect the metabolites released during and after eating. Their program then analyzes the information and makes nutritional recommendations on your smartphone without any separate input of foods or calories. As far as this Editor knows, this is a first, along with using heart rate and caloric burn to measure exercise intensity and recovery. The ‘only health tracker you’ll ever need’ cuff also measures and reports on stress and sleep. The company is taking pre-orders at $149 in advance of the full DTC price of $200 (not sure if in Canadian or US dollars), but according to the FAQs delivery will not be until Fall 2014. For iPhones and Android. Could Fitbit and Jawbone Up be getting the treatment they meted out to Zeo within a year? Will the spectrometer and blood analysis mean that the device will need FDA and Health Canada clearance? Inquiring minds want to know. Website, video, Business Insider article, CBS-TV Cleveland. (Editor Donna note that the pre-sale over a year in advance is essentially a crowdfunding strategy, but standalone it feels ‘take the money and run’ dodgy.) Hat tip to reader Lois Drapin of The Drapin Group, New York. Update 31 October: The somewhat sketchy credibility of this device has increased exponentially, in this Editor’s opinion, since the revelation that there is not a working prototype (due in December, according to the founder) and the spectrometer’s capability and accuracy of detecting blood metabolites non-invasively at the wrist may resemble junk science (MedCityNews). Brian Dolan concludes that as of this point, Airo cannot be what it’s cracked up to be in Mobihealthnews. In smartwatch 2014 deluge news, Google is also nearing its smartwatch launch within months, according to The Wall Street Journal. The watch will incorporate the Google Now personal assistant. In a joint program instituted by UCLA Health, Brooke Army Medical Center (AMC), a burn and rehab hospital in San Antonio and the Veterans Administration Greater Los Angeles Healthcare System over the past six years, wounded soldiers undergoing major facial or burn reconstruction at UCLA have had access to telemedicine consults between UCLA and Brooke AMC. This is now being expanded to include other major reconstructions, such as orthopedic reconstruction for severely damaged limbs, urologic treatment, otolaryngological care, examination and treatment of reproductive issues, repair of airways and design of new prosthetic ears. In including Fort Irwin in the Mojave Desert, the program is now including TBI and PTSD. FierceHealthIT on Operation Mend. 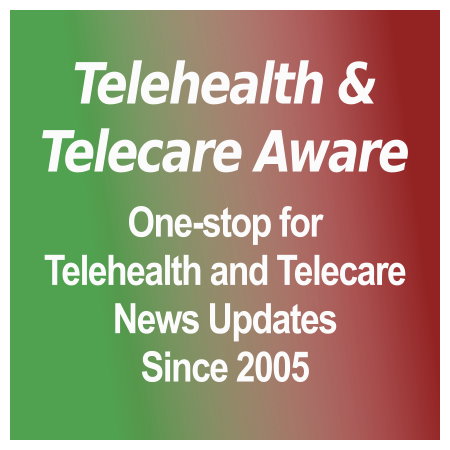 Can telehealth kiosks fill the treatment gap? Is this Tunstall’s ‘taxgate’? Maybe not. One of the companies the article focused on was Tunstall and its owners Charterhouse and Bridgepoint. Tunstall’s profits–like the other healthcare companies profiled, Partnerships In Care, Independent Clinical Services, Priory Group, Acorn Care, Lifeways, Healthcare At Home, Spire Healthcare and Care UK–come largely from the public sector and, by using this means to pay less tax, less money is recycled back to the Treasury. The article estimates the amount for each company which would have been paid had this tax exemption not been in place. This Editor notes that a number of the companies profiled have had significant inspection problems and numerous complaints–Tunstall is not one of them, but it is the second largest ‘tax avoider’ (after Spire) listed. Whatever it may be, we are left wondering if Tunstall’s customers benefit in any way from this tax saving. We will be interested in our readers’ views. Family member assurance: family members understand the value of technology-assisted care in advanced alerting to potential health problems. In fact using the system at home was possibly more attractive to them than in AL. Healthcare service robots have definitely gone ‘mainstream’ if two are ‘Game Changer’ winners in the industry’s Robotics Business Review. The honors go to the Aethon TUG, a laser and infrared-guided robo-deliverer for medications, lab specimens, food, blood, linens–and remover of trash and waste; and the sumo-like Hstar Technologies RoNA – Robotic Nursing Assistant System to lift extremely heavy patients and minimize nurse/aide injury. 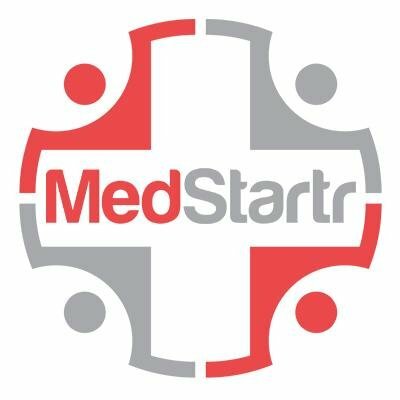 Among the finalists were the iRobot Ava using the Cisco TelePresence EX telemedicine platform and (a new one on this Editor) a physician assistant for the delicate work of scalp hair transplantation, Restoration Robotics ARTAS Robotic System. But we could also see healthcare uses for Five Elements Robotics’ Budgee personal transport carrier to assist those who cannot carry heavy loads. RBR’s full list.